In a small village called Tortuga in Nicaragua, 80-year-old Patrosiño Valle lives with his wife in a house that does not have running water. He travels half a mile to collect water from the closest well, which likely contains high levels of bacteria and calcium. 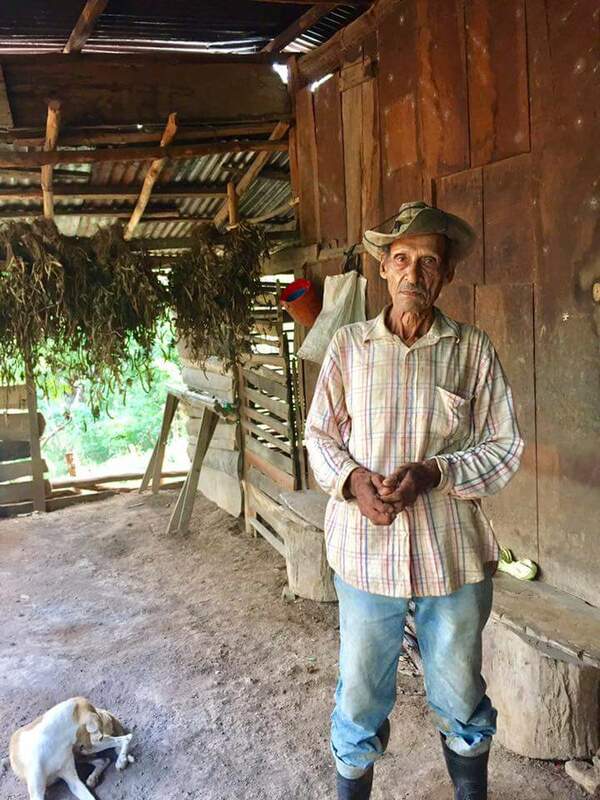 Residing in a house without running water, 80-year-old Patrosiño Valle must walk half a mile to the closest well. “We can live without power and with washed-out roads, but without water there is no life,” Valle said. Valle’s house is one of 18 in the village not connected to the primary water system due to lack of water pressure. But that’s about to change, thanks to a group of students involved in the UW chapter of Engineers Without Borders (EWB), which helps meet human needs through engineering projects that focus on clean water, energy, sanitation, agriculture and structures. The Nicaragua project is the newest addition to the UW EWB chapter, which also has an ongoing project in Guatemala and recently closed out a project in Ghana. New projects are secured through EWB nationals after student chapters throughout the U.S. apply to work with specific communities. Working in Tortuga was the UW team’s top choice and they committed to partnering with the community for a minimum of five years. With a population of about 675 people, Tortuga consists primarily of a handful of markets, a school and a church. Accessing the town isn’t easy. From one end of the community to the other there are five streams, all without bridges. The majority of residents work in the tourism industry at the nearby resort town San Juan del Sur. A handful of the 15 students involved in the project visited Tortuga for the first time in December 2016 to assess the community’s needs. During the eight-day visit, students talked to residents about improvements they would like to see in the community and identified priority projects, which entail connecting more households to water and electricity and removing calcium from the water. Knowing they would not return to the village for many months, the students coordinated logistics and gathered information. They inspected the existing water system, coordinated water analysis at the closest university and collected the necessary data they will need to work remotely on the projects. The students also met with the village’s water and sanitation committee, the Comité de Agua Potable y Saneamiento, which they will work closely with on water system enhancements. 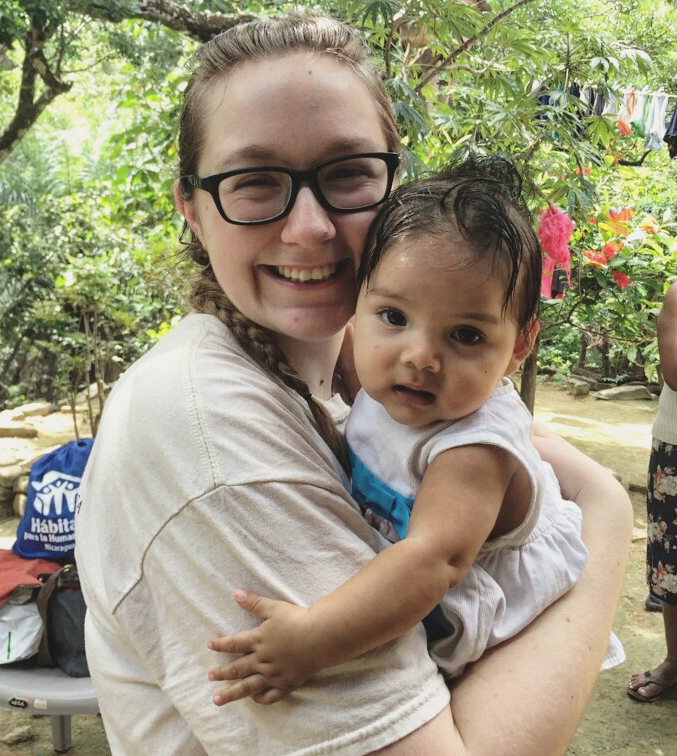 While interviewing women in the village about projects they would like to see completed, CEE sophomore and project lead MaKenzie Fockler meets children. “Getting to meet the people in the community and knowing that the little kids will grow up with clean water and electricity from our project makes hundreds of hours of planning and documentation worth it,” said MaKenzie Fockler, a CEE sophomore and project lead. From designs to prototyping to planning, the students complete the majority of work on campus. Comprised of both undergraduate and graduate students from various engineering disciplines, the UW EWB chapter meets weekly and students spend additional hours working on project specifics according to their area of specialty. Professional mentors and faculty advisors, who this year are CEE faculty members Rebecca Neumann and Faisal Hossain, help guide the students. Students will visit Tortuga again this coming summer to start on project implementation. They plan to connect seven houses on the west side of town to the existing water system, which will leave only 11 remaining houses without running water – but not for long. 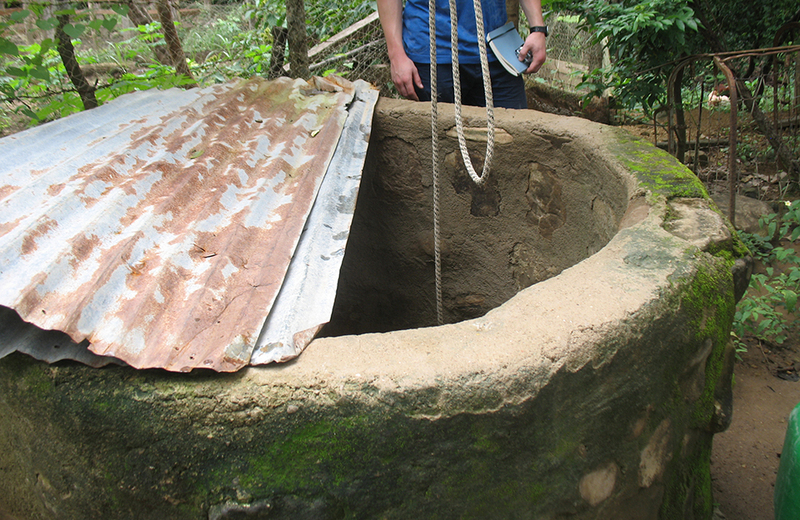 One of the village wells in the south region, which currently does not have running water. Western Region: Households in this area currently collect water from a well, which likely has high levels of bacteria. 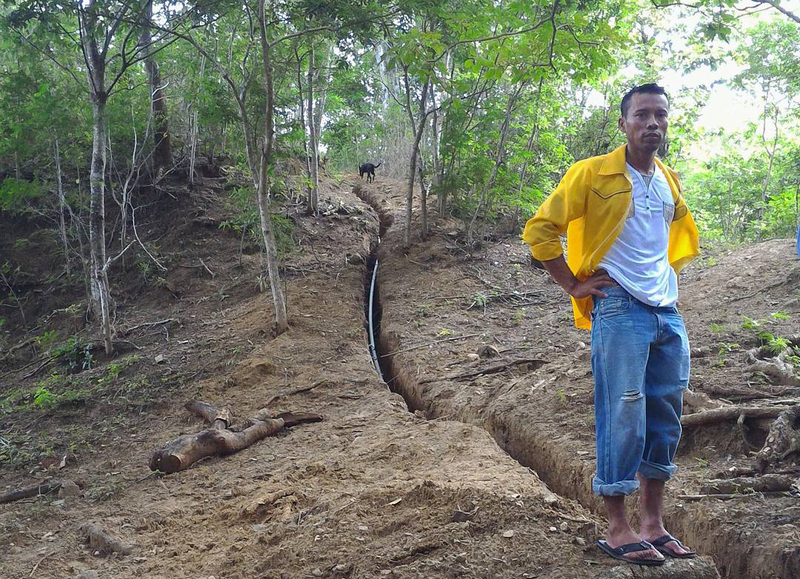 To connect households to the existing water system, pipes will be strategically added to maintain water pressure despite an altitude change in the western region. The existing water system already has a chlorination pump system to ensure the water is potable. Northeast Region: To enable water to reach more households, a solar-powered pump system will be installed at the well in this region. Since the well is shallow, it will be expanded so there is enough water to maintain a water system. A chlorination pump system will be added to ensure the water is potable. Southern Region: To bring electricity to the south region, students are working with the community and municipality to connect households to the main electrical grid. Once this region has electricity, the students plan to connect households to water via an electric pump system attached to the existing well. If water analysis indicates high levels of bacteria, a chlorination pump system will be added. The current water system contains extremely high levels of calcium. This project is the top priority of the community due to health concerns. The students expect this project will take the longest to complete, as removing calcium from water is a complicated chemical process. Students are in touch with endocrinologists and Nicaragua’s Ministry of Health to explore the health effects of high levels of calcium. The Nicaragua student team is supported primarily through donations and grants. Learn how to support the team by visiting their fundraising site. 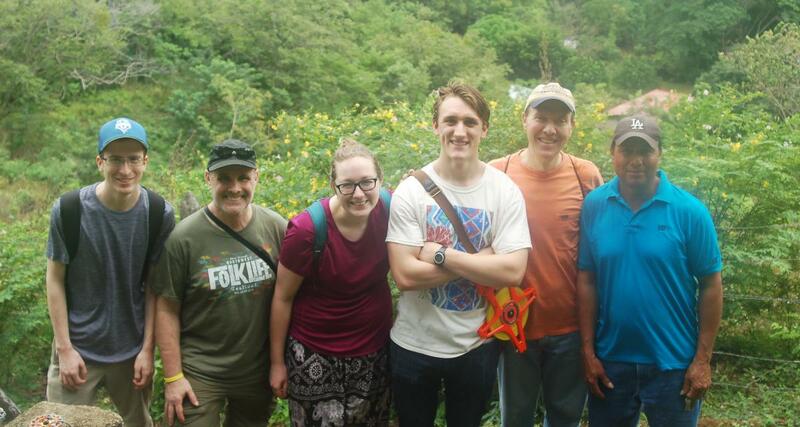 Members of the team during their first visit to Nicaragua: mechanical engineering student Chris Cole, professional mentor David Schwartz, civil & environmental engineering student MaKenzie Fockler, electrical engineering student Bryan Bednarski, professional mentor Bob Wicklein and CAPS president Arsenio Yubank Serrano, from left.